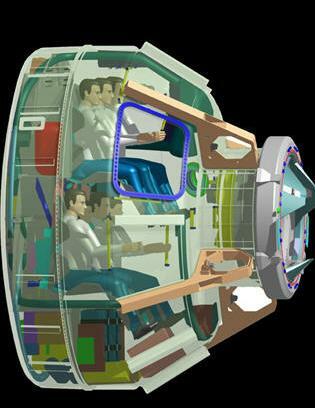 September 14, 2012 - Boeing and NASA recently established the firm baseline configuration for the company's Commercial Crew Transportation System, achieving the first performance milestone in NASA’s Commercial Crew integrated Capability (CCiCap) initiative. During the Integrated Systems Review, Boeing's approaches to the spacecraft, launch system and ground operations were evaluated for compliance with NASA’s requirements, including safety and mission assurance, avionics and software, International Space Station (ISS) integration, and crew and mission operations. Boeing also presented results from current development data from tests with its Crew Space Transportation (CST)-100 vehicle. "The rigor of our design and development process, along with resources from across the Boeing enterprise and our outstanding team of suppliers, will position the CST-100 spacecraft as the next crew transportation vehicle to the ISS and other low Earth orbit destinations," said John Mulholland, Commercial Programs vice president and program manager for Boeing.